In today's ever changing business environment it’s critical to present the perfect image to the marketplace, perspective customers and your clients. 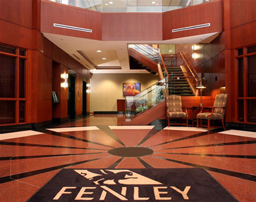 At Fenley's Louisville Office Suites our focus is on you, the client, so you can focus on what matters most - growing your business. We concentrate on the important critical details of keeping your office running so you don’t have to. With our extensive experience in the industry and market…we do this well. Our packages are designed to be flexible creating the perfect Louisville office suites solutions to meet all of your workspace, meeting rooms and service needs. 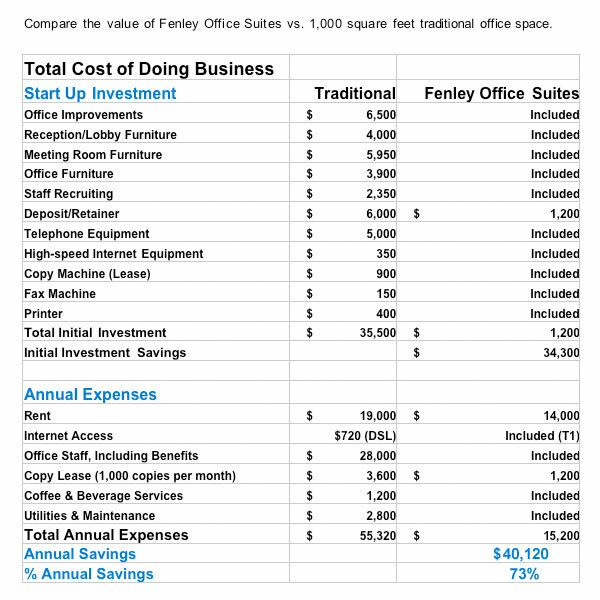 By providing the best equipment and technology, coupled with the most prestigious office environment available and a highly skilled professional staff, the Fenley Office Suites solution is unmatched. We allow you to establish your business locally, quickly and affordably. Our office packages are ready whenever you are and our simple terms allow companies large or small to move in immediately. In addition, our Virtual Office Solutions offer unmatched flexibility when it comes to tailoring our services to meet your business's needs.